Welcome home! This beautiful 4bd/3ba home with bonus room sits on a mature 0.54 acre lot and features a delightful fenced backyard oasis complete with screen porch, covered patio, gazebo, two storage sheds, and vegetable/flower garden! 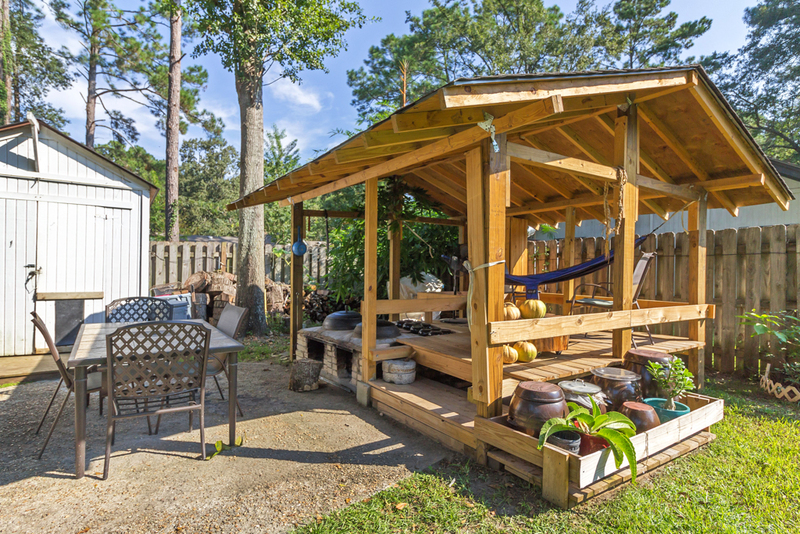 Relax and enjoy the outdoors on either the front or back screen porches! Newer roof! Newer HVAC units! Tankless water heater... never run out of hot water again! Spacious eat-in kitchen with hard surface countertops, stainless appliances with double convection oven/gas stove, and island! Separate formal dining room! Master bedroom suite on main with tray ceiling and walk-in closet! Master bath includes double sink vanity, separate shower, and whirlpool tub! Two additional bedrooms on main and both a bedroom and bonus room upstairs! Will not last! To view more information about this home in RICHMOND HILL, GA, including pricing and pictures, click here! To view more information about 313 Steele Wood Drive, Richmond Hill, GA 31324 including pricing and pictures, click here!